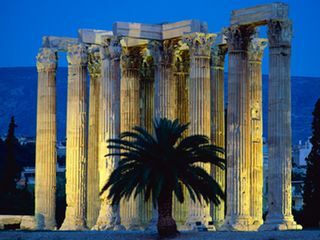 The Temple of Olympian Zeus (Olympeion) was an enormous structure, the largest temple in Greece, exceeding even the Parthenon in size. Work began on this vast edifice in 515 BCE during the reign of the tyrant Peisistratos, who initiated the building work to gain public favor. Although there were several attempts over many years to finish the temple, it was not completed until 132 CE by the Emperor Hadrian. Although begun in the 6th century BC, it was not completed until the reign of the Emperor Hadrian in the 2nd century AD. 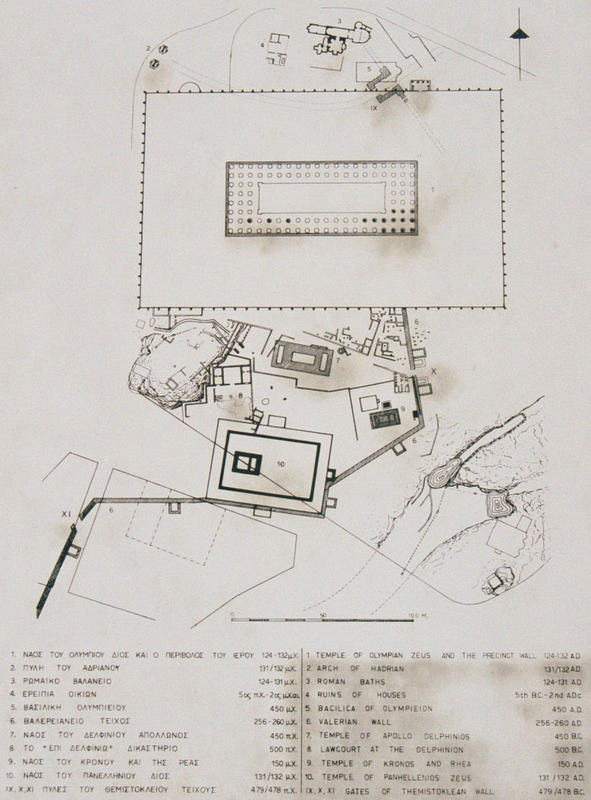 In the Hellenistic and Roman periods it was the largest temple in Greece.